I had the awesome opportunity to meet the mother of one of my college students yesterday. She wears a lot of hats. One of the most amazing is “foster parent”. She and her husband have fostered for almost 30 years. 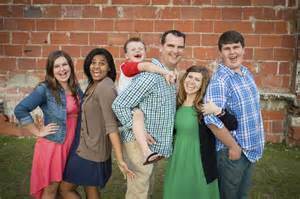 Her family includes children of all ages, all races, and some special needs. I am so grateful to get to know her loving heart, and her mission. 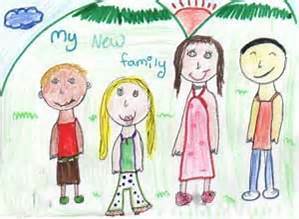 Probably we all agree that all children deserve the best. We also probably all know that some are born into circumstances FAR less than that. And many of us are busy raising our own offspring, and can’t imagine opening our arms, our hearts, our homes to the children who are in dire circumstances. We aren’t all called to do that. And that’s ok. But I think it’s vitally important to acknowledge and celebrate those who are, and to help where we can. At several churches and organizations, I’ve been touched with the programs that spring up to gather Christmas gifts and supportive activities for families like this. 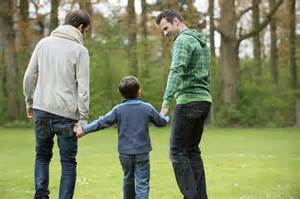 We romance writers and readers focus on love, so it’s worth taking a minute to consider the kind of parent love it takes to foster. There are many challenges, so many ups and downs, hopes fulfilled and disappointments swallowed. It is tough. And day after day, the love goes on. I am so touched by this. Some fostering is short term, emergency care, and children eventually go to live with relatives, or are reunited with parents. Some lead to adoption. Some children move from home to home to home within state systems that seem to have a lot of “cracks” that they can fall through. Systems vary state by state, and some desperately need change to protect the welfare of the children they serve, to make sure the good of the child always comes before bureaucracy, politics and paperwork. My dear nephew and his wonderful wife are foster parents in Nevada. Marc is a successful actor/singer in the Las Vegas entertainment world, most recently starring as Sam Phillips in “Million Dollar Quartet” at Harrah’s. Jen is an amazing teacher. Busy lives. But the hub of their world is their parenthood, and the wonderful child they are fostering and hoping to adopt. It’s far from an easy journey, and it takes a lot of commitment, perseverance, and love. I’m very proud that Marc is appearing on December 18th in a benefit fund raiser for the organization, called “Christmas Crooner” to raise awareness (plus money!) for the cause. 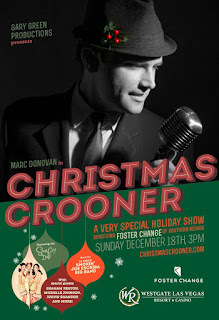 If you’re in the Vegas area you can check it out at www.ChristmasCrooner.com. Really cool. 100% of the profits will go to Foster Change. But some of us (including me) live far and can’t attend. So we’re donating from afar at www.crowdrise.com/christmascrooner. Feel free to join in if you’re so inclined. And if you have foster parents in your world, let’s let them know how much their dedication is worth. They change lives with their love. Each and every day. I have a feeling that we romance lovers, who love "happily every afters", can particularly understand how important that is. 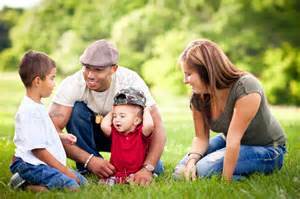 I want to sincerely thank those wonderful, loving folks who foster parent. Do we have any foster parents here? I’d love to hear your story. Beautiful post and best wishes to Marc! Although I'm not a foster parent, I certainly admire foster parents everywhere. Foster parents are amazing and wonderful people.